Item Number: 30-1-60 18964 Actual Weight: 28.5 lbs. Heavy cloth bags are useful for agricultural and industrial products. Bags allow airflow and absorb moisture, oil, and grease. 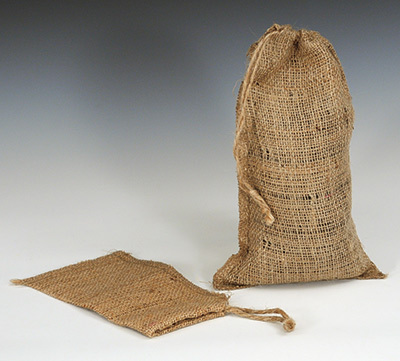 Convenient jute drawstring makes closing and emptying easier.